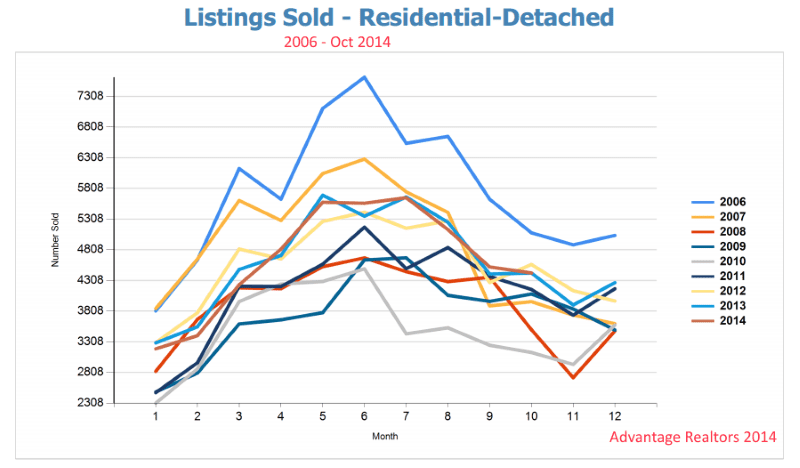 The above graph of Atlanta Single Family Home Sold Volume is both shocking and telling for Buyers and Sellers. It is shocking because the yearly trend line patterns for Atlanta Sold Volume Activity – which is driven by buyers – has been remarkably consistent for the last nine years from 2006 to October 2014 – even including the “market downturn years” 2007-2011! The Golden Nugget for Buyers – your competition for the best homes starts early – and that means so should you! Starting in January, more and more buyers enter the market each week, month over month, until activity peaks in June – by June, many of the choicest homes in the best school districts are bought up! That is why you should always retain a skilled buyers expert to represent and assist you as early as possible – even if you’re only in the looking stages! An expert can help you do your neighborhood and homework research far better than you can own your own – so you can hit the ground running when its time to buy! If you haven’t found a home to close on by June, you will have slimmer pickings and extreme competition as unsuccessful buyers and late arrival relocation buyers all jockey and compete to locate and purchase the remaining better homes before school starts in August! The Golden Nugget for Sellers – there are actually two. 1. Home Sellers DO NOT want to “wait until March or April” to make your home ready and get it “Listed in Spring” – by then you have missed a ton of buyers! I suggest sellers shoot to be on the market in January or early February. 2. If things have prevented you from being ready to list until September or October- do it! If you’re already on the market in September or October, even though showings have probably slowed, stay on the market! (Caveat – hire an agent with a better marketing plan if you have been listed since Spring or early summer)! Autumn is slower, but note the volume bounce that happens in November almost every year – that is the start of good things to come! Buyers out looking during the holidays are usually very serious. 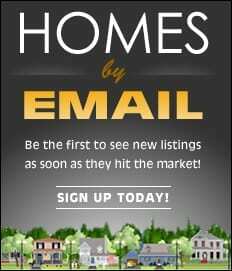 Homes do sell during the holidays – I have sold many homes around Thanksgiving, Christmas, and New Years holidays! 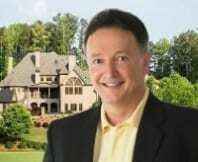 Are you a Buyer or Seller with Market or Timing Questions – call Robert 678-585-9691!